What do you get when you combine a SunPower® solar panel, a passion for aviation and an extremely motivated Boy Scout? A beacon of solar innovation that (literally) lights up the night! 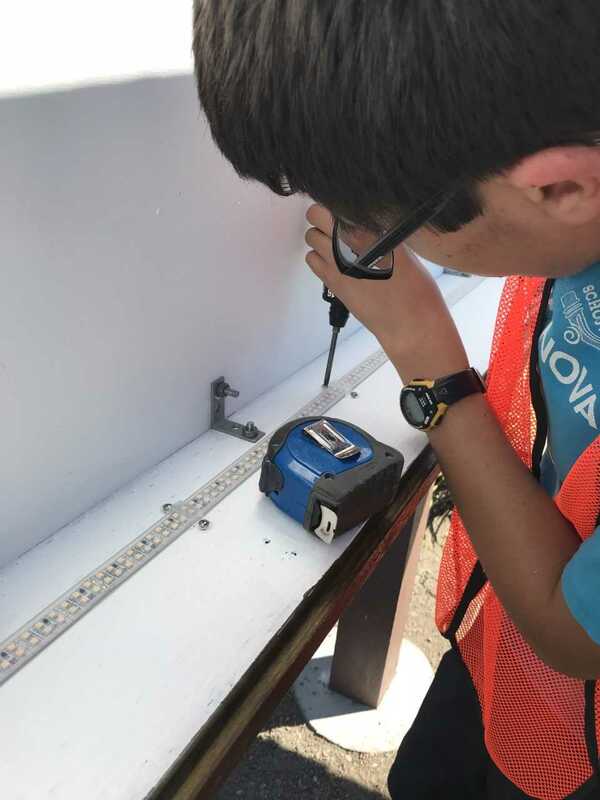 Tyler Colenbrander, inspired by what he learned in SunPower’s 2016 Marin Summer Solar Energy Academy, gave his Boy Scout Eagle Project a solar spin. Using what he learned in the SunPower Horizons® solar energy academy (an annual week-long work-based learning program held at schools throughout California), he decided to build a solar-powered welcome sign for the Marin County Airport, Gnoss Field. Colenbrander also managed the project’s financing. He learned how to budget, maintain a materials list and work with various stakeholders, including the County of Marin, Home Depot and his local lumber yard. The solar sign was truly a grassroots effort. Sun First Solar, a SunPower Elite Dealer based in San Rafael, CA., donated the 230-watt SunPower® panel, reviewed Colenbrander’s design and helped obtain key parts such as end-clamps and mid-clamps. The project, which he even built a website for, brought together people from throughout his community, each driven by the young man’s enthusiasm. Two solar installers from Sun First supported the installation of the solar panel. A structural engineer advised on weight calculations for the battery, which is charged by the solar panel to power the sign at night, and concrete foundation. A lighting representative donated the LEDs. Fellow Boy Scouts, neighbors and family members helped construct and install the frame for the sign. Finally, officials from Marin County and the airport handled the approval and logistical processes to push the project through. We’re eager to see what Colenbrander and other Solar Energy Academy graduates will accomplish as they change the way our world is powered. In the meantime, we extend some big congratulations to Tyler! We look forward to seeing your sign light up the night for years to come. Solar Academies are a benefit offered to schools that go solar with SunPower. Click to learn how you can save your school money with solar.